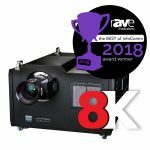 Atlanta, GA – July 17, 2018 – Digital Projection International (DPI) is thrilled to announce that the INSIGHT 8K LASER has been recognized as the Best New Rental/Staging Product by rAVe Publications. A truly innovative imaging solution, the INSIGHT 8K LASER delivers laser phosphor illumination with stunning brightness, gorgeous color, and full-8K 7680 x 4320 pixels through 25,000 lumens, all while being the world’s first DLP based 8K projector. With a canvas of over 33,000,000 individual pixels, the projector provides enough resolution to display true, uncompressed 8K imaging as well as up to (16) FHD images or (4) 4K images simultaneously. The INSIGHT 8K LASER’s remarkable brightness leads to stunning detail and image stability. 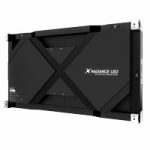 When showing uncompressed 8K content this projector has 20,000 hours of illumination light and 33 million pixels; the INSIGHT 8K truly gives an image that is beyond exceptional. 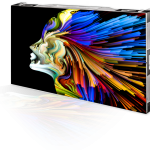 These features make it a perfect match for simulation and visualization projects, large scale entertainment, professional video, houses of worship, and even home cinema. This is the crème de la crème of high-performance projectors on the market today.